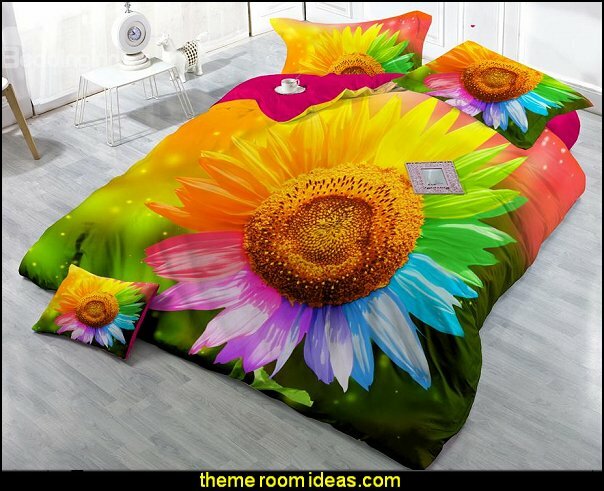 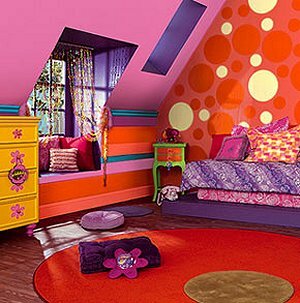 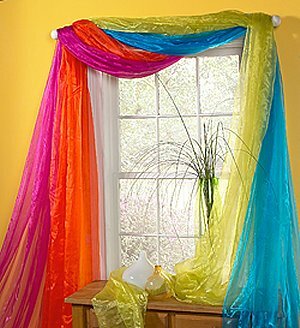 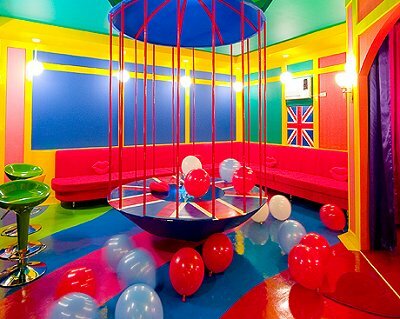 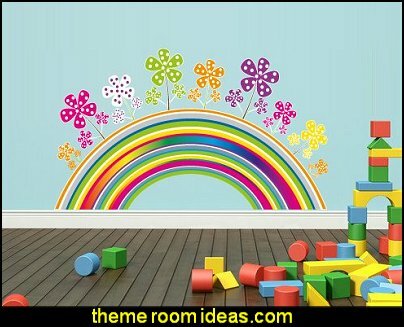 Rainbow of color splashed around the room works for a variety of decorating themes. 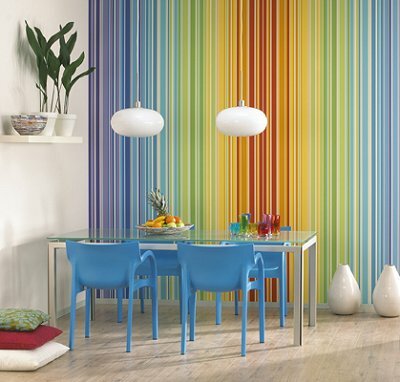 Accent in white - walls or furniture, to soften bold colors. 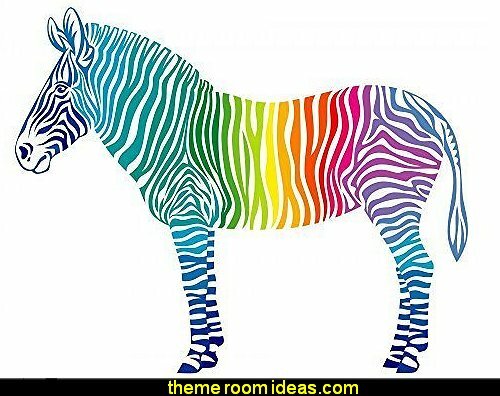 Paint stripes in rainbow colors. 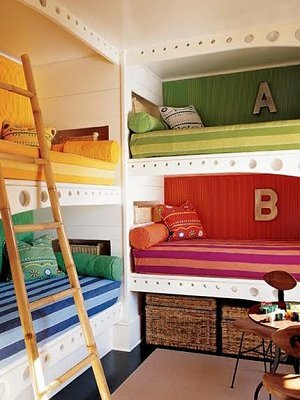 Mix rainbow patterns with solid colors . 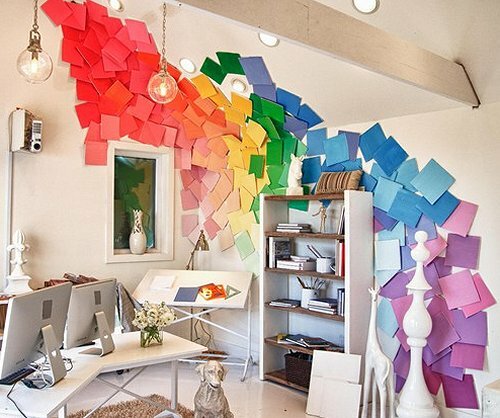 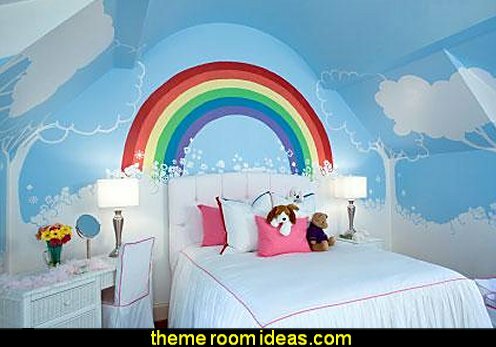 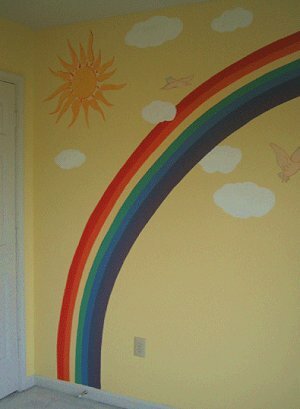 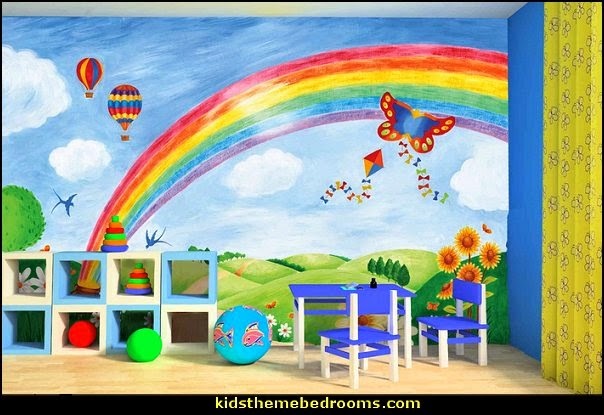 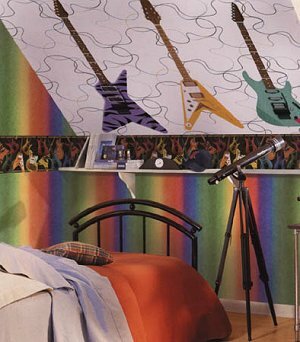 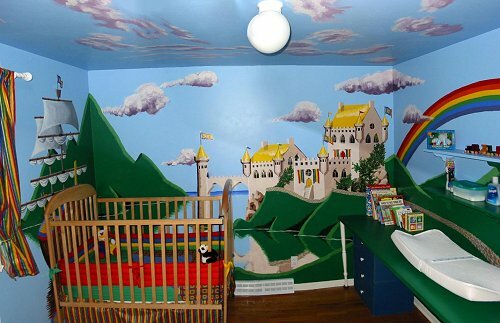 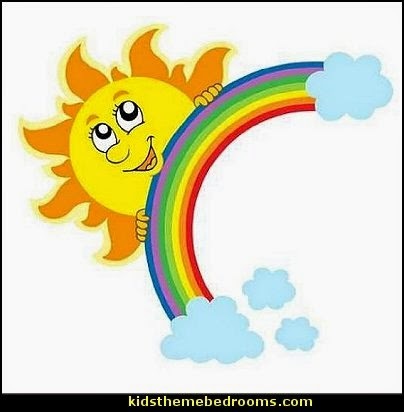 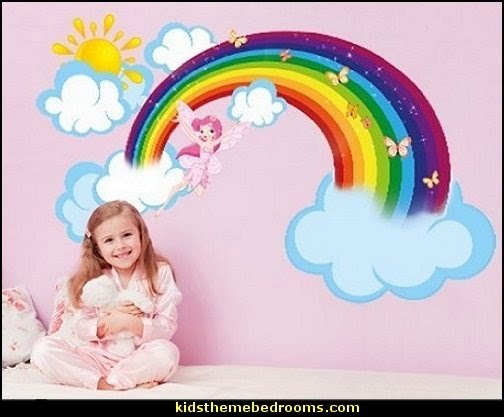 Paint a rainbow on the bedroom walls, over the door. 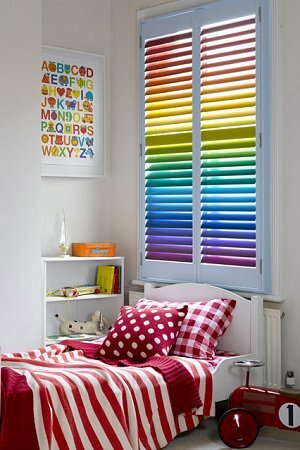 Get creative with the Rainbow colors. 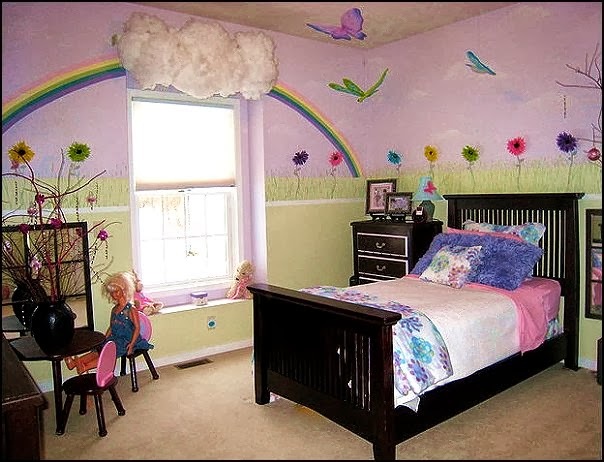 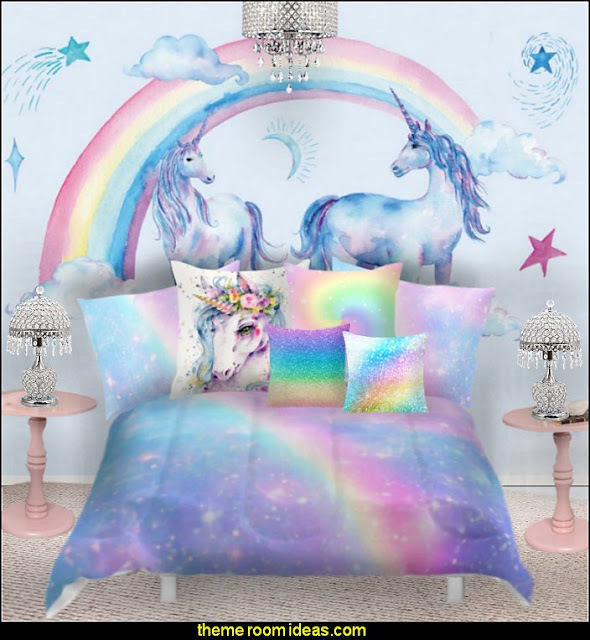 Clouds, sun and scattered stars, hanging stars, touches of glitter and sparkle will add to the fantasy. 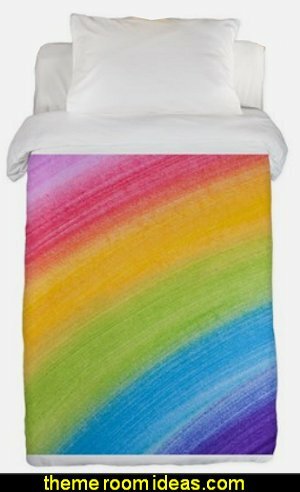 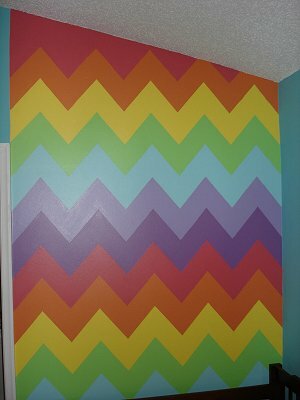 The rainbow does not have to be just an arch, zig zag rainbow colors work too! 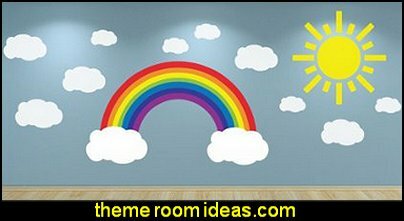 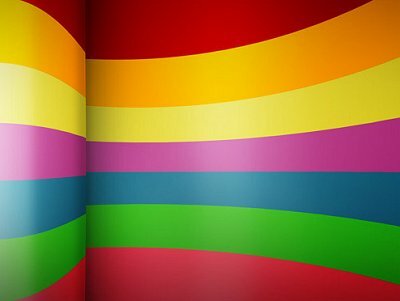 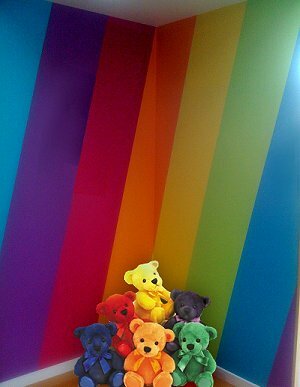 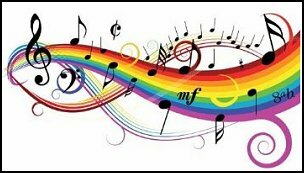 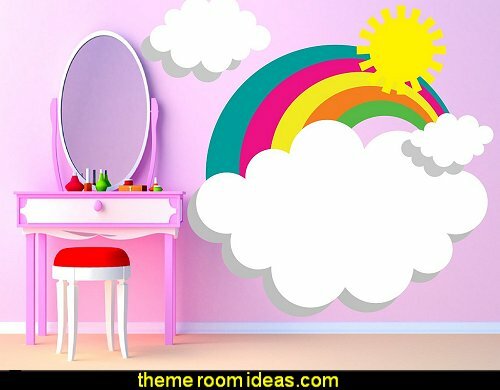 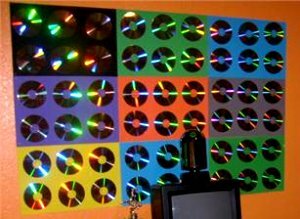 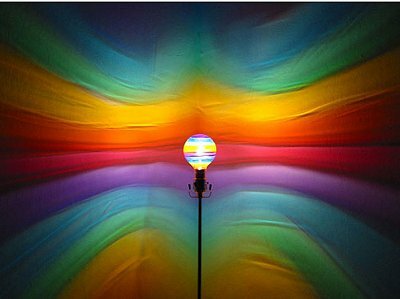 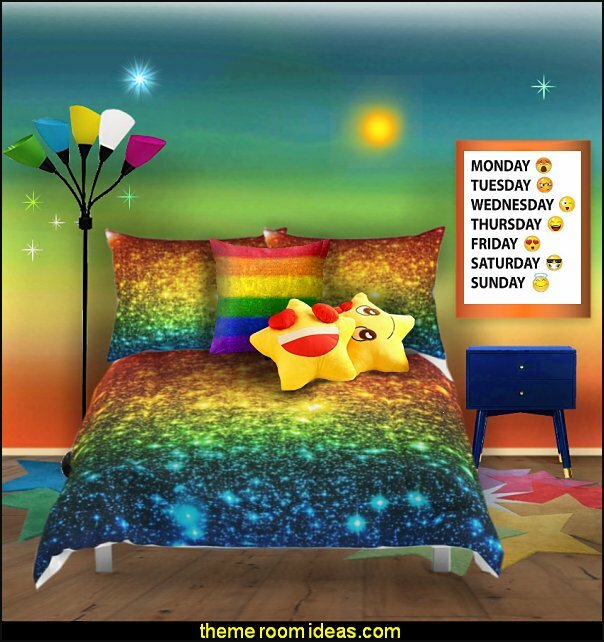 Rainbow theme need not be just a rainbow on the wall. 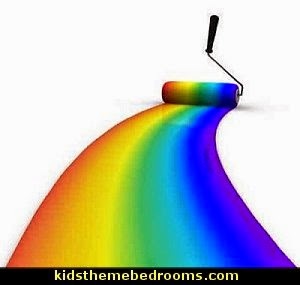 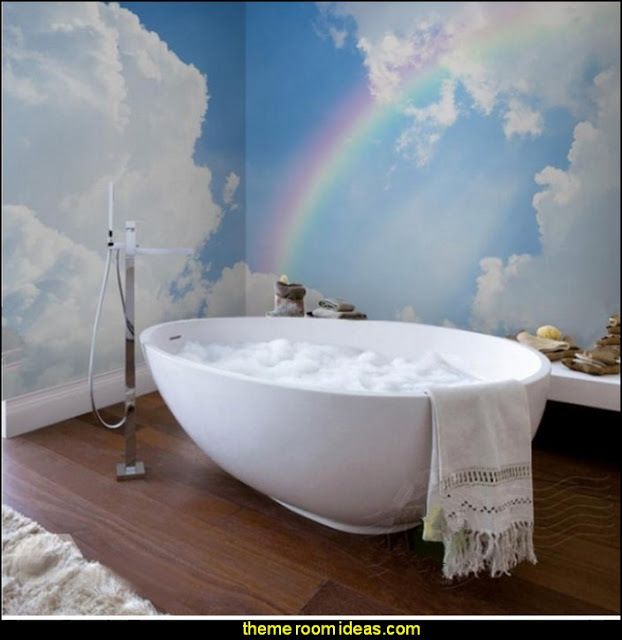 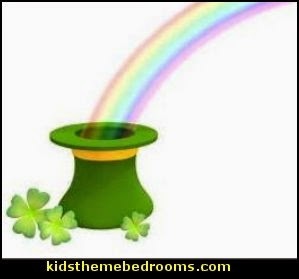 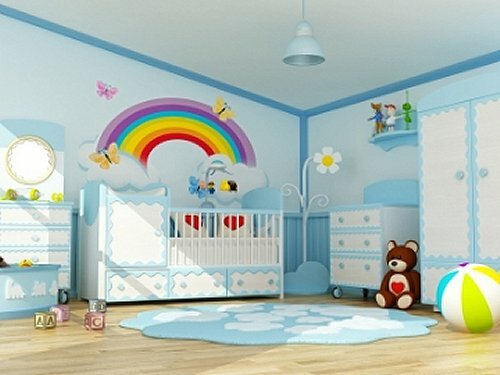 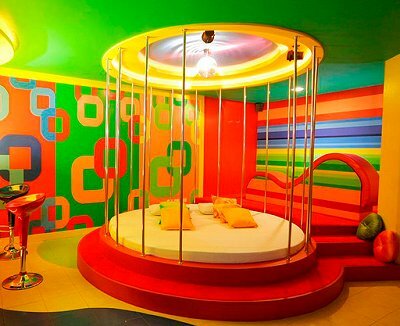 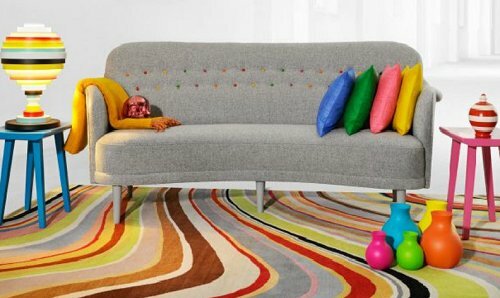 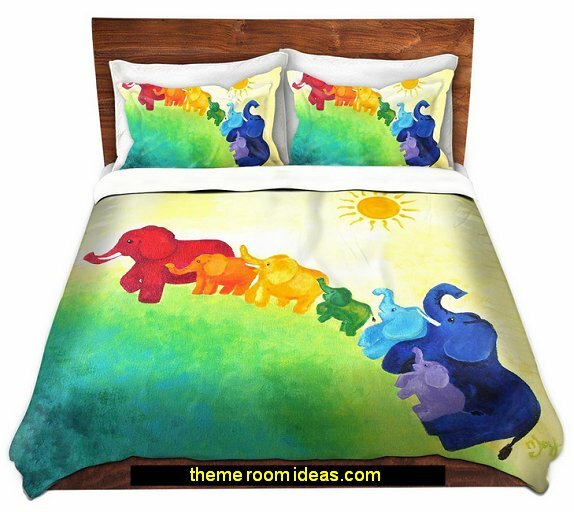 Choose 2 or 3 rainbow colors in different shades and tones to accent the room. 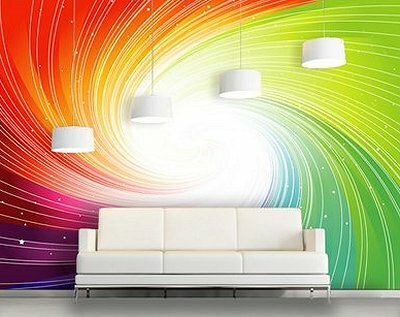 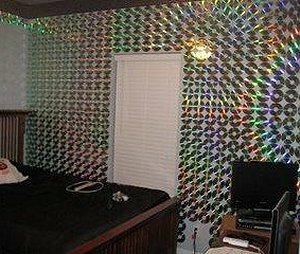 and if all else fails, a quick trip to the paint store, grab a rainbow load of paint samples and design your own unique piece of wall art!